The Institute for Teaching Innovation (ITI) and Academic Affairs are pleased to announce D’Youville’s first Chair’s Retreat. 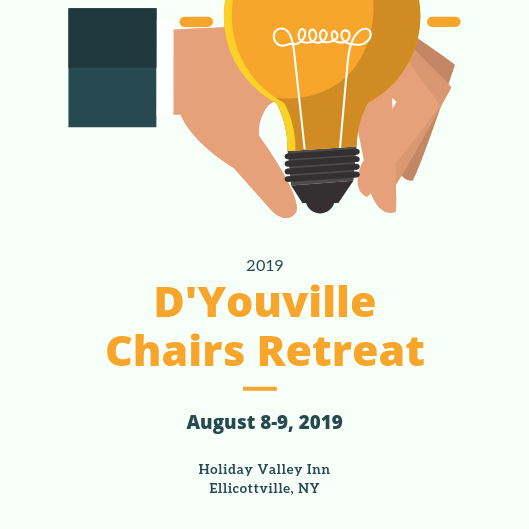 This two-day retreat will take place August 8-9, 2019, at the Holiday Valley Inn in Ellicottville, NY, and will provide time and support for chairs to compare notes, discuss policies, and discover new ways of working. More info is forthcoming and will be announced at Academic Council. Who can attend: All department Chairs may sign up to attend. Signups will be collected through Academic Council.